If you believe yourself to be an Instagram influencer, you may be wondering how you can earn money from your online social activities. Even if you don’t have physical products to sell, you can still use your creative content, recommendations, and experiences to help you monetize your efforts. You have probably heard stories of influencers earning a fortune in return for writing a few posts. Influencers differ greatly in terms of numbers of followers and types of engagement; some support the notion that as few as 1,000 followers is sufficient to start as a blogger, while others believe that 5,000 is a more realistic number for brands to take a genuine interest in you. 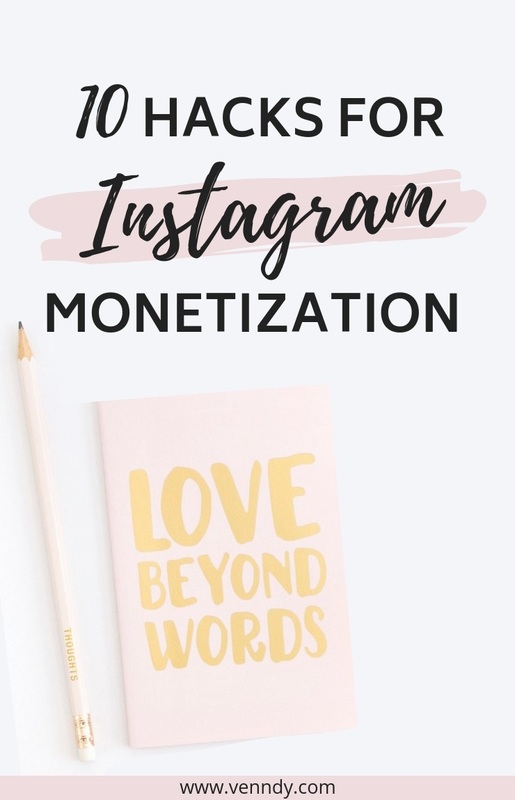 To read more about why Instagram should be a part of your monetization strategy, check out also our comprehensive blog post about Becoming an Instagram Influencer and Monetizing With Your One Link in Bio Using a Shoppable Gallery. Whatever the right number, we’ve gathered here 3 popular strategies and over 10 tools to help bloggers and influencers start monetizing their Instagram social reach. By breaking down the only link you have on your Instagram – the one in the bio – into multiple links, you can use Instagram not only to drive traffic to your website but also to direct specific blog posts that are related to your Instagram feed. You can use your posts’ captions to get readers to check your blog and then forward them to various posts rather than to the home page. Increasing your blog traffic is extremely worthwhile, as it is one of the parameters shared with and checked by companies that are looking to work with bloggers through the other two options of monetization (sponsored content and affiliate marketing). However, it all depends on your offering. If for example you use your Instagram mainly for brand awareness, and in order to sell your services or online course for example, then, images are less relevant and linking your bio link to a page on your blog might be a good solution. 1. Linktr.ee – Linktr.ee is a service that provides a web page with all your relevant links. You can include slinks to a few of your latest blog posts and to your other social media accounts. As well as linking to a page that contains multiple links, this service lets you see the analytics of the number of clicks for each of the links, which helps you understand better what your audience is interested in. This benefit is not as relevant, however, if you have over 1,000 followers and you switch to a business account on Instagram. 2. Linkin.bio by Later – Like Linktr.ee but with photos. While you can schedule and manage your posts on Instagram, Twitter, Pinterest, and Facebook for free, the Linkin.bio option costs $19 per month allows you to create your personalized URL on their site and then add one link to every Instagram post. If your main concern is directing followers to certain blog posts, it is better than the previous option, but from there on, it is up to your post to convert visitors into buyers. 3. LinkInProfile – Very similar to Linkin.bio but with two presentation options (the familiar Instagram grid and a list). LinkInProfile is easy for visitors to find the link they want and offers a free trial. 4. Tap.bio – Is another tool also offered by LinkInProfile and offers a swipe-through option that looks like Instagram stories. It has both free and paid options. Both features are paid beyond the trial period. 5. Build your own customized Instagram page – Bloggers who don’t want to "lose” the opportunity to directly drive their audience to their blog prefer to skip the options mentioned above and create their own page with headings of the different blog posts on their website. While this is an option, you might be losing the visual aspect that brought your audience to Instagram in the first place, as long as images showcase something you experience or offer, as mentioned above. You are losing the flow, look, and feel of the Instagram feed. You are also missing out on the opportunity to take part in the e-commerce role of this platform. That’s why you may want to consider an option that links to both relevant blog posts and shoppable items. The use of affiliate marketing has been growing on social media. On Instagram, you have more than likely seen, or even shopped through, an affiliate link. When an influencer presents a product and invites you to "swipe up for link," they are probably referring to an affiliate link. If you end up making a purchase, the influencer will get a small commission for the reference made to the brand. So, stories are one way to use affiliate marketing to monetize on Instagram. If you are new to affiliate marketing you may want to learn more about What is Affiliate Marketing? The Basics and The Complete Beginners Guide. 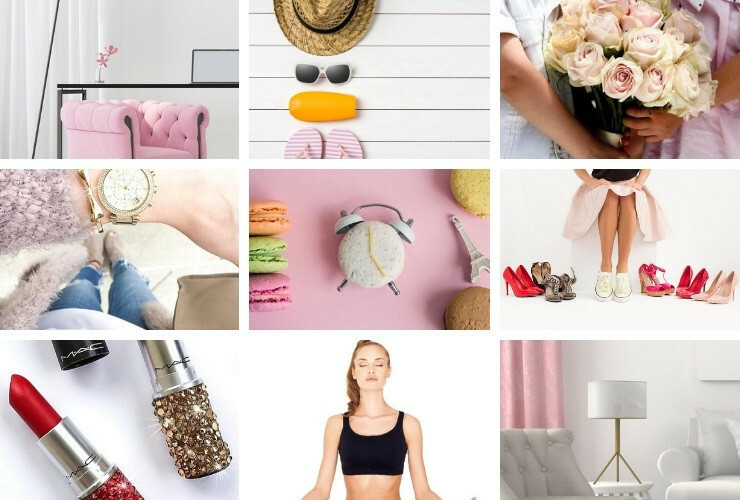 Another way to use affiliate marketing is by using the images of your Instagram feed as a shoppable gallery. There are four tools that give you two options for the link you put in your bio: either directing followers to your own created URL on their platform or directing traffic to an Insta-Tab on your blog. 6. ShopStyleCollective– This is a sub-affiliate program that is great for fashion and beauty bloggers. This means you don’t have to sign up to a few affiliate networks and you can only work with them, as they work with many merchants. They used to have only a pay-per-click program, which anyone with a blog could sign up to with no special requirements, but they have recently introduced a pay-per-sale option. If you are already their affiliate, you need to actively ask to switch to the new plan; you will then no longer be paid per click. According to their site, at sometime in the future, they will only use pay-per-sale and eliminate the pay-per-click option. 7. Planoly – This service gives you the option to both manage and schedule your Instagram posts and a clickable destination for products you share. They have a limited free service (you can check their pricing here), but their ShopLink option that allows you to tag products and put the ShopLink feature on your site is $40 a month. You first must become a rewardStyle influencer, for which you need to have a certain amount of traffic and go through the approval process, which can take time. It might help to read our post: 5 Reasons Why You Should Treat Your Blog Like a Business from day one. You can only work with merchants that have partnered with rewardStyle. So you can’t, for example, create a carousel with references to online courses. You have no transparency regarding commissions, since they are the intermediaries who negotiating the deals with merchants. You put all your eggs in one basket rather than building your own connections. You can start creating your shoppable gallery from the very beginning, when you are just starting your blog. There are no traffic requirements; all that is needed is to start creating quality content. You can link every blog post to an Instagram image as well as products you promote or recommend. You can put on your website an Instagram gallery that is clickable, shoppable, and easy to save for your followers. 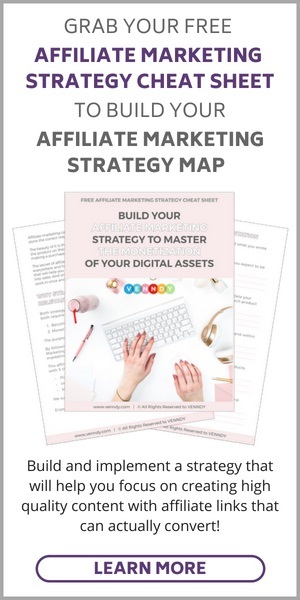 You can use almost all affiliate networks, including even ShopStyleCollective, and still have the same presentation tools. You can have a destination with other, not necessarily Instagram related, shoppable references with your promoted products – an affiliate marketing store. You can curate items once and then share them across all platforms. To read more about how to use VENNDY’s tools for implementing an Instagram shop tab on your website, check out this blog post. As influencer marketing has matured as an industry, there are more firms dedicated to making the process of brands finding influencers and vice versa simpler and more straightforward. Nonetheless, it is still quite challenging for brands to work out who are the true influencers online. This has offered the opportunity for influencer platforms to sprout up. These are platforms that help brands and influencers to connect and partner in order to promote products or places. Bloggers are compensated with either cash or a free product. When this is the monetization method, the influencer will usually tag the brand and, as per FTC regulation, also disclose the nature of such a relationship via hashtags and captions such as #sponsored, #ads, #partnership, and others. 10. Here is a good list created by Influencer Marketing Hub of 25 influencer marketing platforms they came across. Hope this post was helpful. See you around on Instagram.